KOTA KINABALU: Deforestation is believed to help the spread of monkey malaria or P. knowlesi malaria in Sabah, Sarawak and other parts of the South East Asia region. There is no better way of explaining how deforestation helps in the spread of monkey malaria than a recent front page Daily Express photograph of a troop of monkeys besieging a residential housing estate house in Likas. Mosquitoes do not diffentiate between monkeys and humans, and the malaria parasites are transmitted from the infected blood of the monkeys to humans by the mosquito vectors. The simian malaria parasite Plasmodium knowlesi is known to cause fatality rate among infected patients unless properly treated. The other two malaria types with high fatality rates are P. falciparum and P. vivex. "P. malariea almost never causes death and is benign. P. Knowlesi has a mortality rate of up to 3 per cent. "P. Knowlesi malaria is only one of the diseases attributed to land use changes, who knows what other diseases are there from such activities," said Dr Timothy William, adding that more research and funding are needed to prove scientifically the various links or cause factors to conclusively ascertain comprehensively the true situation as land clearing causes migration of monkeys. Dr Timothy William of the Queen Elizabeth Hospital, who is also the Malaysian Principal Investigator of the 'Monkeybar' project, found out that 60 per cent of all malaria cases here are that of P. knowlesi. In short, the 'Monkeybar' project encompasses study and research on the ecological and environment determinants of the zoonotic malaria P. knowlesi in Palawan, the Philippines and Sabah, Malaysia concentrating in the populated Kudat and and Banggi island areas. It is a multi-disciplinary, integrated research programme to investigate the epidemiology of P. knowlesi. "Interestingly, Palawan which is just a boat ride away from Kudat, Sabah is known to be free of P. knowlesi malaria," Dr Timothy said, although historically there were some cases there. Sabah and Palawan is to have more shipping ties, with a cruise tourism venture between Kota Kinabalu and Puerto Princessa. One known difference is that there is less deforestation on the island of Palawan from satellite imaginary. This situation was highlighted at the internationally collaborated malaria study programme tagged 'Monkeybar' Stakeholders Meeting and Mid-Project Workshop scheduled from Nov 25 to 28 was launched at the Clinical Auditorium at the Queen Elizabeth Hospital Tuesday was well attended by about a hundred doctors, nurses and tertiary institution researchers and some students. Director of Queen Elizabeth Hospital here, Dr Heric Corray opened the 'Monkeybar' function with the aim of eventually controlling and eradicating malaria and prevent more deaths by the knowledge and research findings that will set the effective policy towards this goal. It was hoped that a vaccine would soon be available to prevent the more common form of the malaria disease like P. falciparum. Some experts opined that to control or eradicate monkey malaria, the vaccine should also be applied to the monkeys, but it would be near impossible to do so as the primates could not be made voluntarily to be available for inoculation. 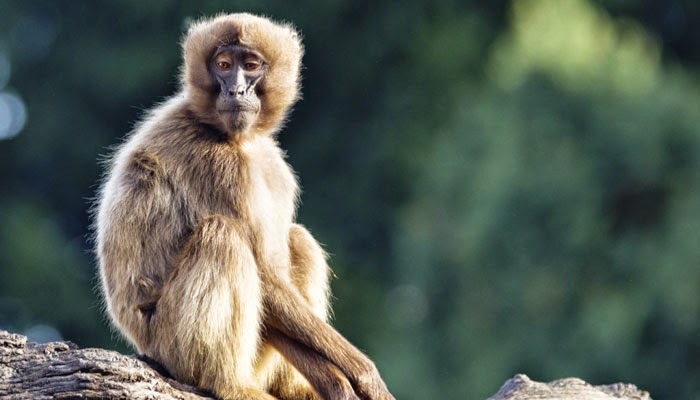 According to Dr Timothy, the monkeys would remain a reservoir of the simian parasite Plasmodium knowlesi, even if a vaccine is available and all humans in the whole country are inoculated. In Sabah, it was difficult to get accurate data on the number of illegal migrants, what more the number of primates and their locations. An attendee suggested that pet monkeys should be licensed to control the risk factor. Dr Timothy said that human to human transmission for P. knowlesi malaria is not currently known or proven, but developing a vaccine for P. knowlesi malaria needs more study and is not possible in the near future given the number of infected patients needed for the application. Some RM15 to 20 million are needed over the five years research period which is an on-going process involving medical clinical, computer IT – drone spatial experts, social science, entomology (mosquitoes), parasitology and primatology (monkeys) experts.